Lauren Nuffort, a litigator, and Jesse Beier, an estate planning and corporate attorney, joined Lommen Abdo as associates in January of 2017, bringing new perspectives and increasing the firm’s depth of talent. Scroll down to read more about Lauren and Jesse, who are pictured here with Lommen Abdo President Keith Broady. 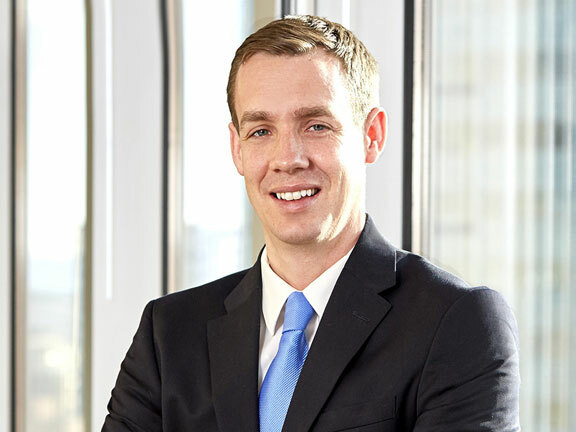 Jesse Beier works with Minnesota and Wisconsin clients to create estate and business succession plans that help them achieve their goals. Jesse is dedicated to helping individuals, families and businesses prepare for the future through the development of tailor-made plans focused on tax planning, asset protection, probate avoidance and incapacity planning. Jesse enjoys the personal aspects of the estate planning field, giving clients the comfort of knowing that they have ensured the security of the things that matter most in life. He understands that each client’s situation differs from the next and he strives to provide highly individualized services. Jesse works hand in hand with key advisors, including accountants, financial planners, and trust officers to produce plans that are both comprehensive and cost effective. Whether your estate is large, small or somewhere in between, whether you have relatively simple or complex family and business interests, Jesse has both the legal and inter-personal skills to help create a plan that meets the client’s objectives. When disputes arise, Jesse can also assist with will, trust and probate litigation. Prior to joining Lommen Abdo, Jesse practiced at a well-known St. Paul law firm long considered a local leader in the areas of estate planning, charitable giving and business planning. Jesse lives in south Minneapolis with his wife, young daughter, and overly-enthusiastic German wirehaired pointer. He is an avid runner and Nordic skier and spends his free time chasing a toddler and training for endurance races. Jesse can be reached at 612.336.9339 or jbeier@lommen.com or view his v-card and bio. In her subrogation practice, Lauren has successfully investigated, developed and resolved claims for carriers and their insureds involving fires, structural collapses, chemical reactions, and product defects. She also handles subrogation claims in the commercial trucking and transportation industry and has developed a niche in the agricultural-setting by representing insurers of farming operations. 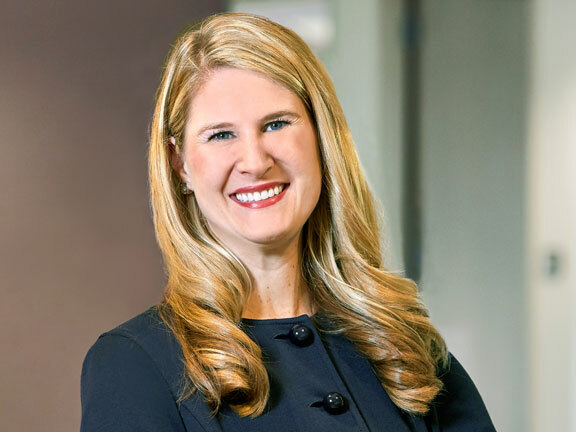 Her previous professional experience has included defending businesses in construction defect litigation, intellectual property litigation, long-term care litigation and personal injury litigation/wrongful death litigation. Lauren is an active volunteer. She serves as the Editor-in-Chief and is on the Editorial Committee of the National Association of Subrogation Professionals (NASP) Subrogator® Magazine. In addition, she is actively involved in the Minnesota Defense Lawyers Association (MDLA) and, in 2015, received the MDLA Deb Oberlander New Lawyer Award recognizing professionalism, service, and contributions to excellence in the practice of law by an attorney practicing eight years or less. Outside the legal setting, Lauren has served as President of the St. Paul Academy & Summit School Alumni/ae Council from 2012 to 2016 and continues to serve as President Emeritus in 2016/2017. Lauren also volunteers her time with the Courage Kenny Rehabilitation Institute teaching adaptive alpine skiing at Hyland Hills Ski Area. Lauren can be reached at 612.336.9308 or lnuffort@lommen.com or view her v-card and bio. 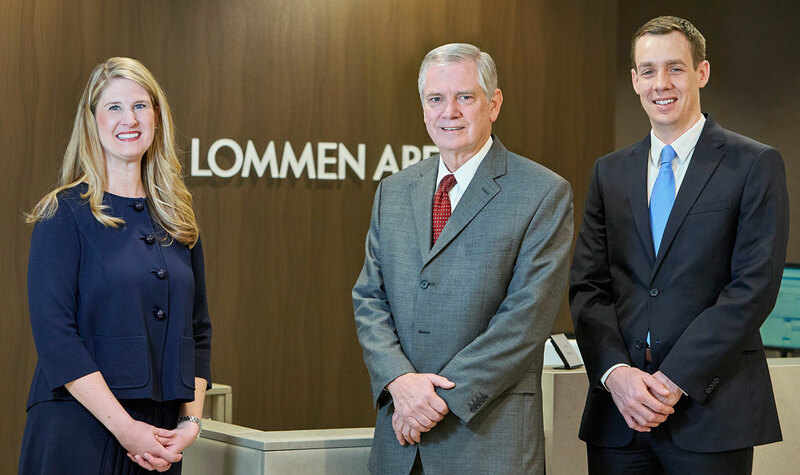 Lauren’s and Jesse’s practices will now have the added support of Lommen Abdo’s 27 attorneys located in two offices: Minneapolis, Minnesota and Hudson, Wisconsin. Lommen Abdo practices in a variety of areas including business, shareholder disputes, employment, real estate, family law, vaccine injury, medical malpractice and wrongful death, appeals, brewery and distillery law and more. If you have a need outside of Lauren’s or Jesse’s expertise, they can connect you to the right person to handle your matter. Lommen Abdo attorneys’ best credentials are our clients’ successes, but our lawyers are also recognized by their peers: 13 are AV-rated by Martindale-Hubbell, four have been selected for inclusion in The Best Lawyers in America®, nine are included in the Super Lawyers list and many have obtained certifications in trial practice and real estate. The firm has been serving clients for over 75 years. To learn more about Lommen Abdo, visit the website at www.lommen.com. Review the latest edition of our newsletter, too.